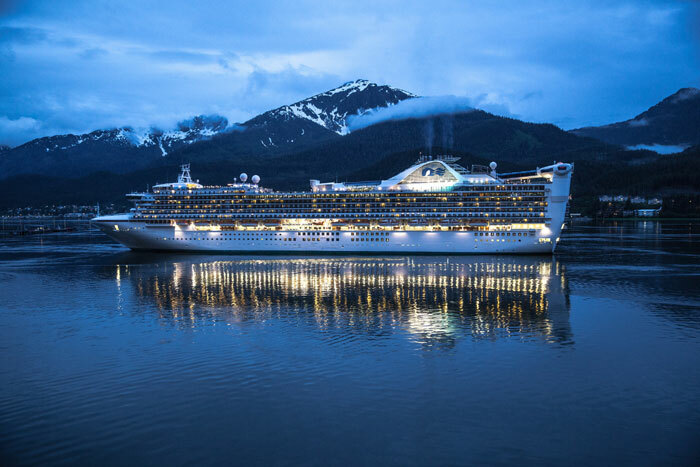 Princess Cruises has unveiled North to Alaska to offer the best Alaskan cruise experience to its guests. The new offerings included in “North to Alaska” covers a wide range of onboard features and even brings in local culture to make Princess Cruises a number one choice when booking an Alaskan cruise. The offerings will provide a learning experience along with local culture, entertainment and dining. Guests will be able to dine like a local with a variety of authentic Alaska cuisine featured nightly onboard. The chefs are putting together the mouth-watering dishes are specially trained by local chefs from Alaska. Specialty restaurants will also offer a regional Alaska cuisine menu on select evenings. The cruise line will have added activities where guests will be able to learn more about the local culture and even get involved. A unique activity is a lumberjack teaching people about its history in the region and how to live like a “lumber jack”. Also is an Axe-throwing competition where passengers can go head to head. there will be story telling by New York Times best-selling author and renowned storyteller Nick Jans along with Alaskan styled activities for the young cruisers. Guests will experience the thrill and excitement of the Klondike, harkening back to the glory days of gold rush fever. The Klondike festival onboard activities will include Alaska icon and sled-racing presentations, penny whistle classes, traditional dance performances, an arts and crafts show, and more. The festival day will culminate with a celebration of the natural phenomenon of a visible sun at night during the Midnight Sun top-deck party, complete with entertainment, games and specialty drinks. In total, seven Princess ships offer more than 120 Alaska cruise departures during the summer season, May – September, originating from San Francisco, Seattle, Vancouver B.C. and Whittier (Anchorage), Alaska.